Yesterday, the NFL announced its 2017 Pro Bowl rosters. 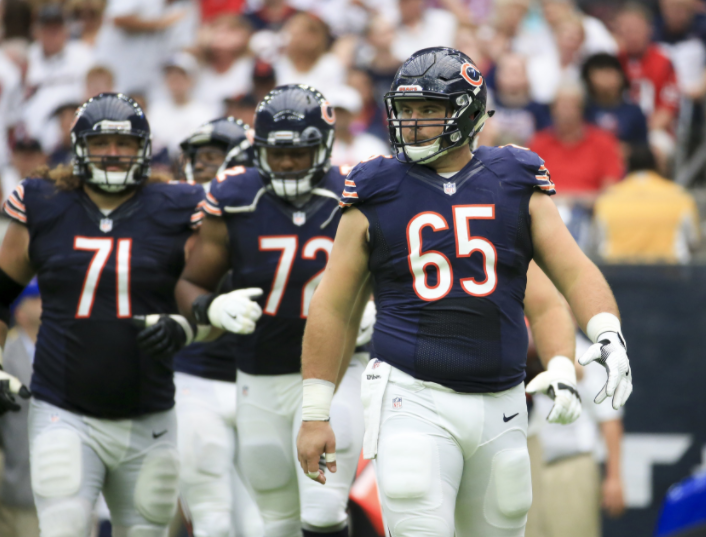 Even though it’s common knowledge that the selection process is nothing more than a popularity contest, and it’s difficult being voted in playing on a losing team, there are four Chicago Bears whose play this season was worthy of a Pro Bowl selection. Let’s start with the obvious one. 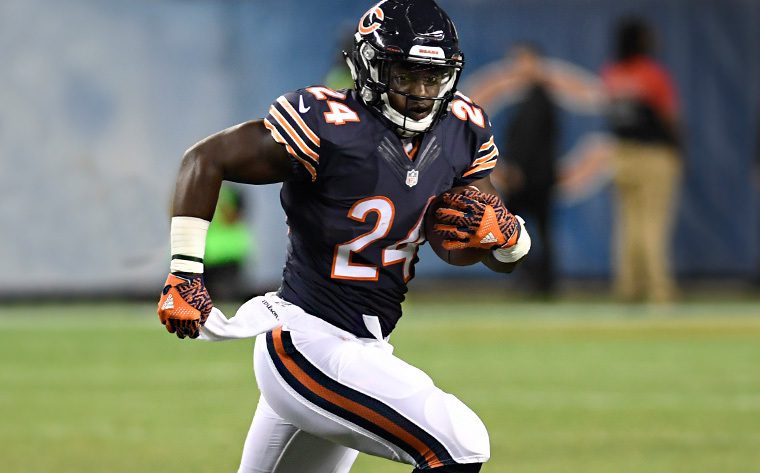 Howard is third in the NFC in terms of rushing yards with 1,059 yards on the ground. Remember, the rookie reached the 1,000-yard mark quicker than both Gale Sayers and Walter Payton. What makes it even more impressive? Howard’s high-volume of yardage has come off a relatively low number of carries, and his 5.0 yards per rush is tied for second-best in the NFL of all backs who’ve rushed at least 200 times. Howard also has the fourth-most rushes of 20+ yards (8) and is tied for the second-most runs of 40+ yards (2). Furthermore, Howard only has one fumble on the year, which is significantly less than two NFC Pro Bowl selections. Ezekiel Elliot has five (one every 62 rushes) and David Johnson has fumbled four times (one every 65 rushes). In his first year in Chicago, Akiem Hicks started off a little slow … but continued to improve his game each and every week. It took until Week 4 for Hicks to get his first sack of the season, but ever since, he’s been a force to be reckoned with. He had two big-time sacks against Minnesota on Monday Night Football, and 17 of his 46 combined tackles this season have come over the past three weeks. 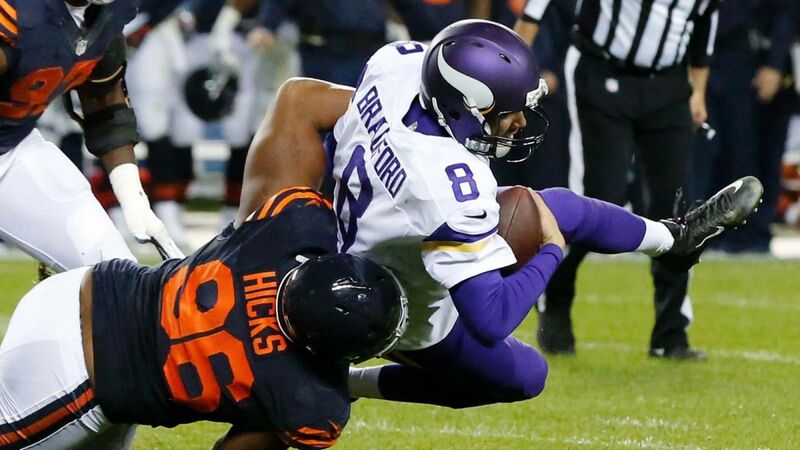 Hicks should’ve gotten the nod over Seattle’s Michael Bennett. Comparing the two, Hicks has four more sacks (seven to three), 17 more combined tackles (46 to 29) and two more forced fumbles (two to zero). It’s always tough to compare offensive linemen, as the amount of available stats aren’t nearly the same as other positions. Whitehair has played his tail off all season long and looked every bit the part of a Pro Bowler. I can understand why he wasn’t selected over Dallas’s Travis Frederick and Atlanta’s Alex Mack. Both are stellar centers and are playing for two of the best offenses in the league. Still, Whitehair, who moved from guard to center before the start of the year, has proved to be one the best young linemen in the NFL. He’s played all but two snaps on the year and has dominated up front for the majority of the season. With stiff competition at the position, it’s understandable that Whitehair wasn’t selected to the Pro Bowl. That said, he should be the first player to get the nod as a reserve. If it weren’t for his four-game suspension, Freeman would’ve most likely been a 2017 Pro Bowler. At the time of his suspension, he was fifth in the NFL with 91 tackles and played 99 percent of the team’s defensive snaps. Despite missing four games, his six-run stuffs and three batted passes are tied for the highest total in a single season in his five-year career. He still holds the second-highest PFF grade of all linebackers (92.5) for the season, trailing only Carolina’s Luke Kuechly. Who do Bears fans believe should’ve gotten the nod? 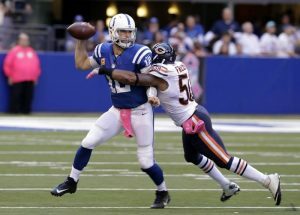 Do you believe any Bears should’ve made the 2017 Pro Bowl? Let us know in the comment section below!